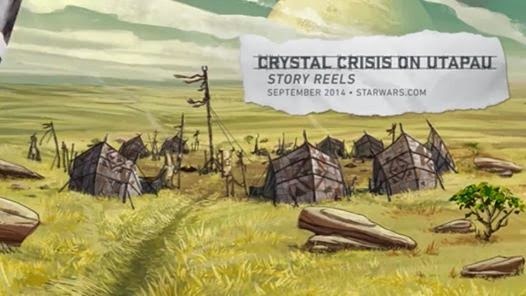 The Crystal Crisis on Utapau Story Reels, for three unfinished episodes of the Star Wars: The Clone Wars, are available now at StarWars.com at The Clone Wars Legacy. The three Story Reels are for the following three previously unreleased Obi-Wan and Anakin centric episodes: A DEATH ON UTAPAU, IN SEARCH OF THE CRYSTAL, and CRYSTAL CRISIS. 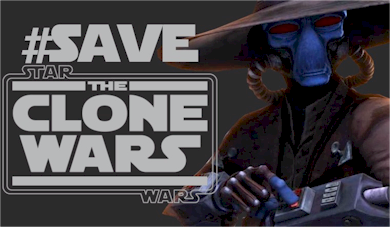 Please keep in mind these were works in progress and not the full beautiful animation that we have grown accustomed to with Star Wars: The Clone Wars. Also please note that at the time of this post the fourth show reel for "The Big Bang" is not a show reel, but an add for the Star Wars Commander app.